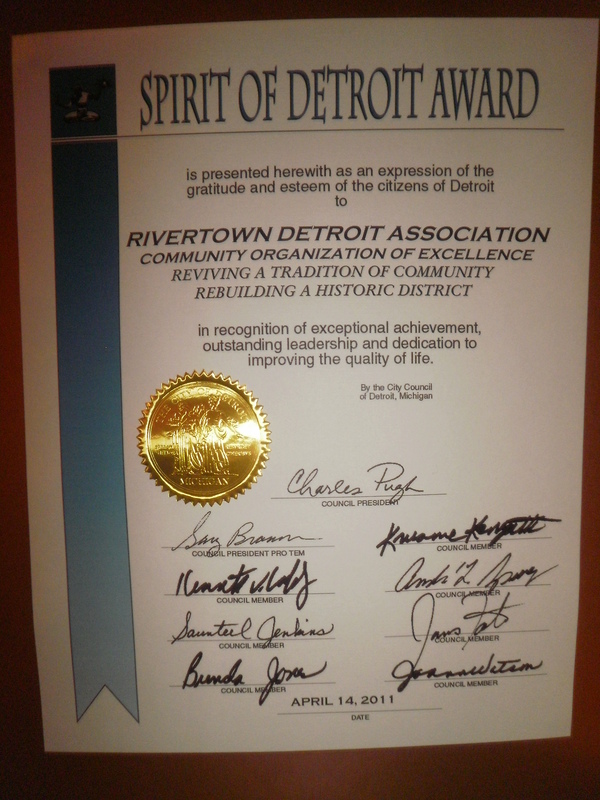 Rivertown Detroit Association, a 501(c)(3) Corporation | "The Sliver On The River"
"The Sliver On The River"
5:15-5:30–Welcome by the Mainstreet Deli team. Rivertown Updates. 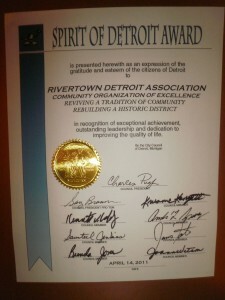 supporting and improving Rivertown Detroit. Committees–Finance ( Diversified Members Credit Union),Advertising & PR Communications/e-newsletter (Bill Brey, Detroit Chamber of Commerce), Technology (Michael Rohde), Welcome–(Connie Bailey, Prime Time Travel), Scholarship–(Constance Bailey–Primetime Travel), Safety & Security (Jefferson East Inc.) Garden Club (Chair–Barb Hayes, Detroit Garden Center),History & Heritage (Charlie Lauhoff, Lauhoff & Corp.),Economic Development (Greg Williams, FRG Consultants), Arts Committee( Chair-Kristine Diven, District VII Gallery & Creative Space), Detroit Police Department (Captain Kyra Hope), Jefferson Ave./Streetscape(Chair-Josh Elling, East Jefferson, Inc.),Detroit RiverFront Conservancy Liaison(Chair–Michele Marine), Downtown Detroit Partnership Laison (Chair–Maryann Marantette Listman), Health & Wellness (Dr. Suzette Olaker-Copeland, MD, Loretta Davis, Institute for Population Health), Government Relations (Sher Smith), Rivertown Chaplain—Fr. Tim McCabe, SJ–Saints Peter and Paul Catholic Church, Real Estate (Chair-Sandra Dixon, Quality Service Real Estate), Transportation (Shanelle Jackson, Regional Transit Authority) and others. 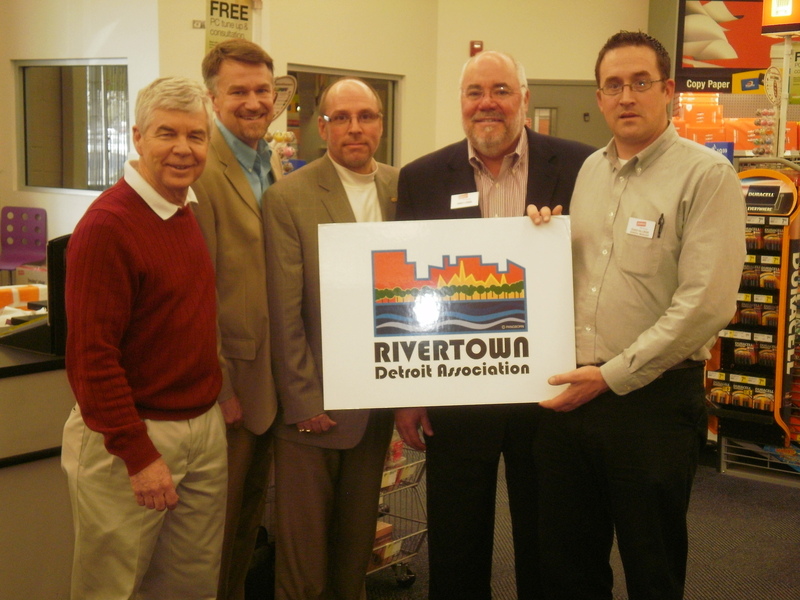 Rivertown Detroit Association coordinates efforts with the the Detroit RiverFront Conservancy, Downtown Detroit Partnership, REAL, Jefferson East, Inc. ,Detroit Police Department Riverfront plus Community and Police Committee, the Detroit Economic Growth Corporation, Detroit Fire Department and Friends of the Detroit River. Thank you to Walgreen’s, CVS, WGPR for the “Welcome to Rivertown Detroit”on your electronic signs–we are getting the word out. Fifth Third Bank-–Official Bank of Rivertown Detroit. Contact Vice President Juliana Perry at the Rivertown Detroit Branch for your banking needs 1-313-567-5348. Centurion Services-Official Carpet & Textile Services for Rivertown-See ad on this site. Roberts Riverwalk Hotel-Official Hotel of Rivertown Detroit–ask about the special Rivertown Detroit rates–Sunday-through Thursday–1000 River Place–see advertisement on this website for reservations. 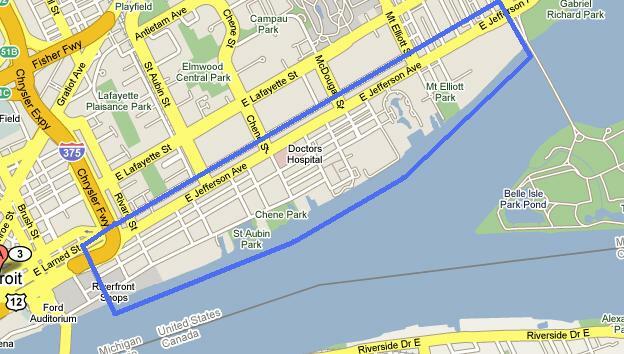 Arthur J. Rohde & Co.–Official Office Suite Rental Company of Rivertown Detroit–Large suites to virtual offices. Conference room available. Right next to the IHOP and across the street from Staples. See advertisement this page. Robinson Furniture—Official Furniture store of Rivertown Detroit–see their advertisement on our website. “You Have An Uncle In The Furniture Business”–See Scott Bradley for the Best Furniture Deals In town and Air Conditioners, Tires & Rims, Bedding, Bed Bug Covers, TVs & Bar BQs, Lawn Movers, Snow Blowers, Appliances, and Accessories–Wow!!! Harbortown Market--Official market of Rivertown–3472 E. Jefferson Ave. 1-313-259-9400/www.facebook.com/harbortownmarket–Your location for Holiday shopping–Fresh produce and meats, excellent selection of wines. Be sure to stop in and see Louie!!!!!! !